Appearance of Chidorigafuchi that cherry blossoms fell already. It was quiet. What happened to them after full bloom of cherry blossoms? There are many breeds in cherry blossoms. But speaking of cherry blossoms, generally we mean one breed called Someiyoshino. 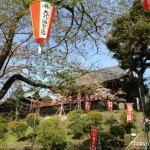 The best time to see Someiyoshino is only one week in a year. You know it is very short time. We feel nobility to see them and are also very attracted to their brevity and ephemerality. Cherry blossoms at Chidorigafuchi. One week has passed since declaration of full bloom. 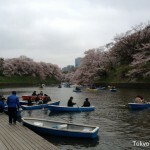 Chidorigafuchi and Kitanomaru Park are great places to see cherry blossoms in central Tokyo. It was a little cold and cloudy day on March 30 2013. 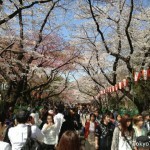 But many people visited there to see cherry blossoms. Japanese people love cherry blossoms very much. One cherry blossom flower blooms at Ueno Park on March 15 2013. Today is March 15 2013. I found one cherry blossom flower at Ueno Park in Tokyo. 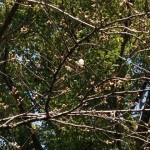 This flower is blooming silently on high branch, so, almost people did not notice it. *EDIT on March 16 2013, Japan Meteorological Agency “JMA” declared cherry blossom bloom in Tokyo on March 16 2013. It is the fastest declaration on record. Cherry blossoms may bloom earlier than the previous forecast. Weathermap and Japan Weather Association announced new forecasts of cherry blossoms today separately. 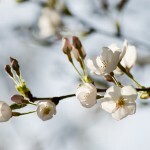 According to them, cherry blossoms will bloom about a week earlier than the previous forecast. Because it is a result of unseasonably recent warm weather. If this forecast is correct, cherry blossoms will bloom fully on March 25 in Tokyo. Then, cherry blossoms have start to bloom today in Fukuoka. The best time to view cherry blossoms is about a week in a year. They are not powerful before full bloom, flowers will fall and green leafs will appear after full bloom. Its brevity is one of reasons that we love cherry blossoms so much. The Imperial Palace is at the most central of Tokyo. And around the Imperial Palace is a famous spot of cherry blossoms. 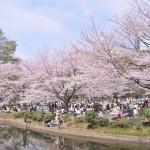 You can enjoy cherry blossoms at “Kitanomaru Park” and “Chidorigafuchi”. 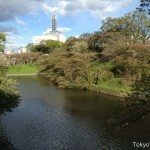 Kitanomaru Park is at north side of the Imperial palace and Chidorigafuchi is at west side. 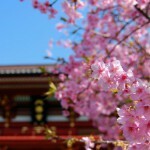 Cherry blossoms are very special flowers for Japanese as a symbol of spring arrival. 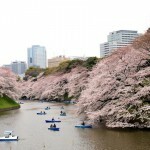 There are several famous spots in Tokyo to enjoy cherry blossoms. The first cherry blossoms forecast is announced by Weathermap today. Weathermap is one of private weather broadcasting companies in Japan. 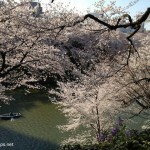 According to the forecast, the cherry trees begin to bloom from March 25 in Tokyo. 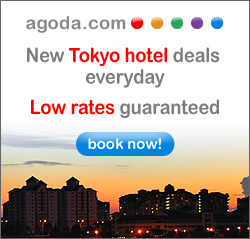 Best time to see of cherry blossoms will be on April 1 to April 8 in Tokyo.